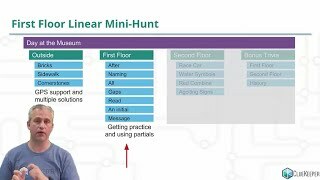 Watch this tutorial series to build on the things you learned from the hosted hunt series. 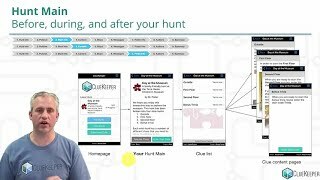 Learn to build a self-guided hunt while polishing your creator skills with advanced features useful for all hunts. Learn how to get a brand and watch a demo of the self-guided hunt that you will be making. Click here to see the slides used in this tutorial. Click here to visit the self-guided hunt review guidelines. Create the content that potential buyers will see. It’s important to get every word right as this is the info users will read when they consider buying your hunt. 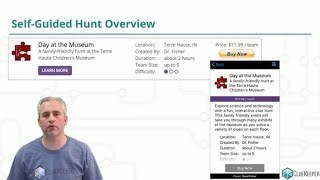 Explore science and technology with a fun, interactive clue hunt. This family friendly event will take you through many exhibits at the museum as you solve a variety of clues on each floor. 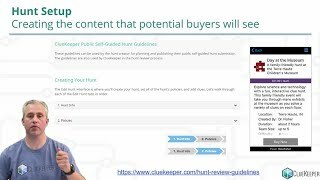 Set up the content that will display on your hunt's main page before, during, and after your hunt. Then start testing your hunt on a real device with a test registration. Click here to download the images used in this tutorial. Click here to access the copy/paste content (got too long to just put here). 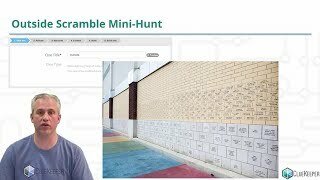 Set up your first mini-hunt. You'll add placeholder mini-clues and write a meta. These clues will be outside the building. In order to start this mini-hunt, find "The Cornerstone" just outside the entrance, read the bottom line, and enter the year the building was dedicated. Solve the mini-clues first, then come back to this screen for information about the meta. To solve the meta, take the first letter of each mini-clue solution. 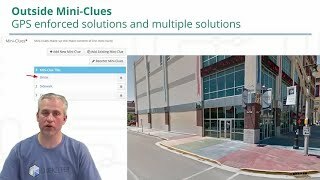 Learn to use GPS enforcement on solutions and multiple solutions for the same clue. What name is on the brick closest to the back entrance? Learn to use partial solutions and practice creating content on your own. Click here for the instructions referenced in this tutorial. More videos in this series coming soon!